Tickets are still available for the remaining event on May 27 in the 2019 Leon Panetta Lecture Series, now in its twenty-second season. Gen. John Kelly with, from left, Adm. William McRaven, Nicholas Burns and Secretary Panetta, speaks to reporters before the April 15 lecture. The remaining lecture will be May 27 at the Monterey Conference Center, with Secretary Panetta focusing on the theme, “Checks and Balances – Will Our Democracy Survive?” The event is entitled, “What Was the Hope of our Forefathers? Has it Worked?” and features Douglas Brinkley, Professor of History at Rice University and CNN commentator; and Annette Gordon-Reed, American historian and Law Professor of American Legal History at Harvard University. Tickets for the remaining lectures are available for $100. For information, call the Institute at 831-582-4200. The lecture is scheduled for 7:00 to 8:30 p.m. 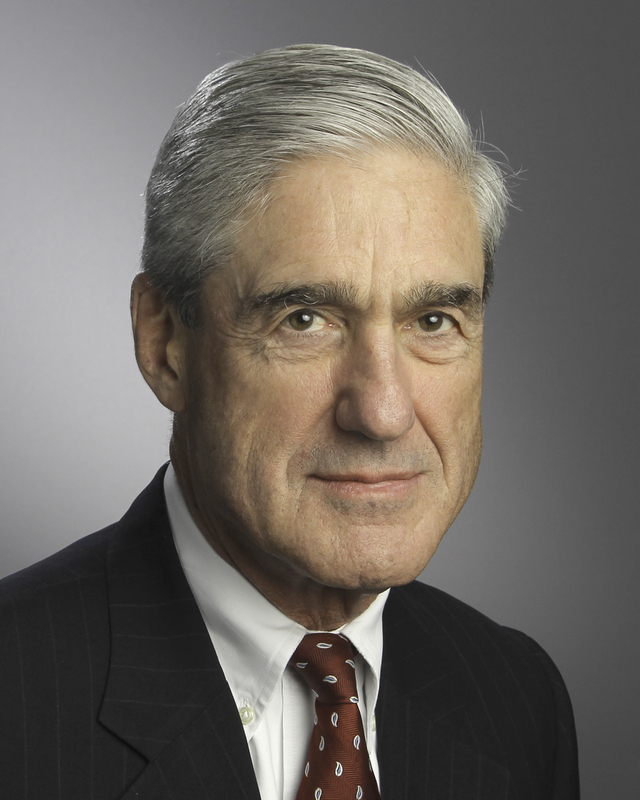 The first lecture in the series was on Monday, February 25, and featured a discussion of The Mueller Investigation, the Law and the Presidency and included James Clapper, USAF (Ret. ), Director of National Intelligence Agency (2010-2017); Mara Liasson, national political correspondent for NPR and a contributor to Fox News Channel; and Chuck Rosenberg, former Counsel to FBI Director Robert Mueller and former Chief of Staff to FBI Director James Comey, United States Attorney for the Eastern District of Virginia (2006-2008). The second lecture was on Monday, March 25 and was a discussion of The Role of the Press and the Congress, with Governor Chris Christie (New Jersey 2010-2018); Mark McKinnon, political advisor to President George W. Bush and Senator John McCain, co-creator, co-executive producer, and co-host of Showtime’s The Circus: Inside the Greatest Political Show on Earth; and Mark Shields, political analyst with PBS NewsHour and syndicated columnist. 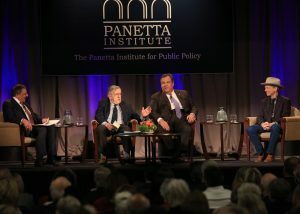 Secretary Panetta welcomed Mark Shields, Chris Christie and Mark McKinnon on Monday, March 25. 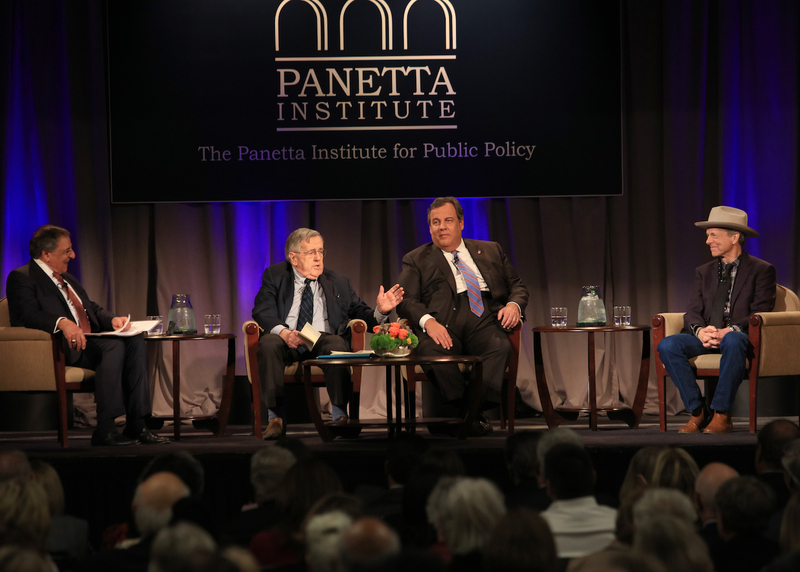 Each of the Leon Panetta Lecture Series programs are broadcast live throughout California by Comcast, Comcast Hometown Network, the California Channel and other cable networks. C-SPAN periodically broadcasts these lectures nationally. The lectures are also available for viewing via live web-streaming at www.panettainstitute.org/lecture-series/webcastinformation/, on the Leon Panetta Lecture Series YouTube channel, and are broadcast live on public radio. Past lectures are available for viewing on the Panetta Institute website. A statistical analysis of the Panetta Institute’s longest running program, Monterey County Reads, appears to demonstrate a positive effect on students’ post-test scores. Assessment data for the 2017-2018 school year was analyzed by experts at the Naval Postgraduate School in Monterey, who reported the improvement, while also acknowledging that additional impacts, such as regular course work, influence from parents and even educational television, also can drive test score data. Monterey County Reads is offered to public elementary school students enrolled in first through third grade throughout Monterey County. This program especially addresses the needs of the lower socio-economic level of the county’s population by enlisting community volunteers come into the school to read one-to-one with the students. During the twenty-two year history of Monterey County Reads, the Panetta Institute has analyzed data measuring children’s progress in reading. The Institute works to assure high quality program outcomes by conducting orientations at the beginning of the year with school site teams at each participating school, and performing pre- and post -assessments for every participating student. Sue Merrill Crawford Antle, a longtime leader in the local community and a former board member of The Panetta Institute for Public Policy, died on March 7, 2019, at her Salinas home, surrounded by her loving family. Born on February 23, 1936, in Watsonville, California, Mrs. Antle is remembered along with her late husband as creating a legacy in the heart of Salinas Valley agriculture and for her support of countless community organizations and projects. Mrs. Antle was raised on a farm in the hills of Browns Valley and met the love of her life, Bob Antle, while attending Watsonville High School. Growing up in Corralitos, Sue was active in 4-H, raising her beloved cow, Blossom, as well as excelling in Home Economics, especially sewing. Over the course of their 58-year love affair, Mr. and Mrs. Antle created a legacy of their own. As a young couple, they followed the lettuce harvest season with their four small children, with Sue orchestrating the family home, while Bob managed Bud Antle Inc. Throughout the years, Mrs. Antle welcomed many employees and business associates into their home and family life. During their golden years, Mr. and Mrs. embraced their passion for the enrichment of their community. Mrs. Antle took great joy in co-chairing the “Have a Heart” fundraiser for Cal State Monterey Bay for many years. Her lifelong passion for reading is best illustrated in her dedication to reading books with the many children as part of the Monterey County Reads program run by the Panetta Institute. Her legacy will provide the foundation for children of field workers to be first generation graduates of CSUMB, Cal Poly and Hartnell College. Mrs. Antle was preceded in death by her husband, Bob, eldest son, Rick and brother, Bill Mauk. She is survived by her twin daughters, Kathy Antle and Karen Hebl, her son, Mike Antle (Cass), and daughter-in-law, Tonya Antle. She is also survived by seventeen grandchildren, eight great grandchildren, numerous nieces and nephews, Martha Chavez, and her loving and devoted family of caregivers. A Celebration of Life will be held on Saturday, March 23, 2019, at 11:00 a.m., Church of the Good Shepherd, 301 Corral de Tierra Road, Salinas, California with a reception to follow. The family requests in lieu of flowers, donations may be made in Mrs. Antle’s memory to: VNA & Hospice P. O. Box 2480 Monterey, CA 93942. 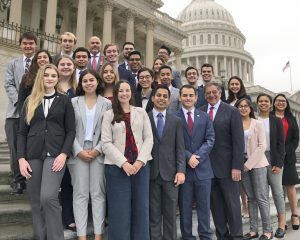 Six law-school students from the Santa Clara University Law School have begun their studies into several key public-policy issues facing the nation today, from immigration and abortion rights to cyber-security and housing. Fellows are studying at the Panetta Institute for an entire semester, researching and presenting realistic in-depth approaches to policy that address the concerns of competing interests. By the conclusion of the semester, each student will present a proposal that demonstrates the use of analytic tools as well as the knowledge of how policies move from the theoretical to actual implementation. Fellows from Santa Clara University Law School gathered for an orientation luncheon with Secretary and Mrs. Panetta, Institute professors and visitors from Santa Clara University . The semester began on January 11 at the Panetta Institute with an orientation luncheon attended by the new fellows, Secretary and Mrs. Panetta, Institute professors and representatives of Santa Clara University. The Fellows Program was created in the spring of 2006 in collaboration with the Santa Clara University School of Law. Since then, eighty-seven law students have completed the program. The course of study was formulated by Secretary Leon Panetta and focuses on how public policy issues can be addressed by parties of competing interests and ultimately develop into consensus solutions acceptable to both Democrats and Republicans. Elaine Chou — CYBER-SECURITY/Regulation of social media. Maritza Ponce — SOCIAL POLICY/Legalization or Limitation of Abortion Rights, Regulation of Abortion and Political Realities of the Issue. Jared Renteria — HOUSING/Establishing Affordable Housing and Addressing Homelessness — the role of government and the private sector. Erica Skeels — DISABILITY POLICY/ Enforcement Challenges of the Americans With Disability Act, Benefits, Reasonable Accommodations and Enforcement. Throughout the academic semester, fellows will explore the diverse political, social, and economic contexts within which public policy is developed. Fellows examine the history, foundations, and theories of public policy and gain real-world insight into the field. They examine demographic data, budget concerns and current social trends and themes to understand, analyze, and address the current policy issues that face the nation. They are guided by Secretary Panetta and Institute professors Sonia Banks, an attorney and educator who leads the program; Fred Keeley, former California State Assemblyman; Bill Daniels, attorney and lecturer; and Richard Kezirian, an Institute professor. Dr. Nancy Kotowski speaks at a recent Panetta Institute tribute to Monterey County Reads volunteers and schools. 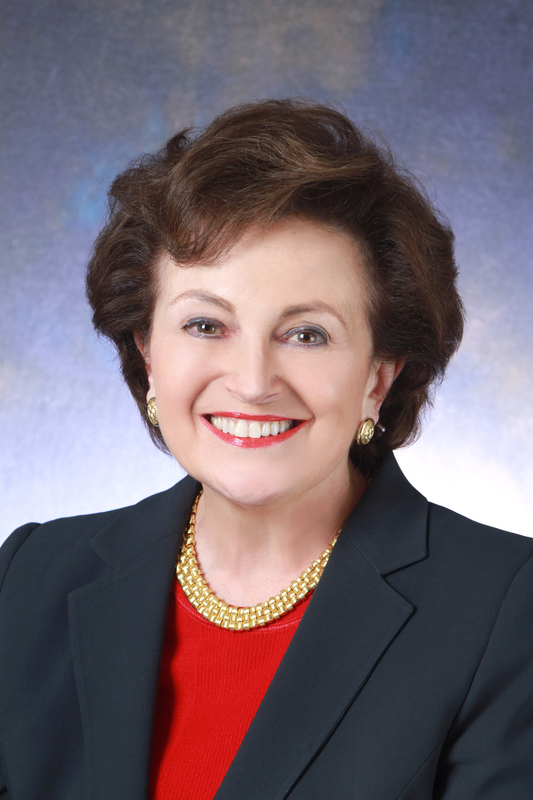 Dr. Kotowski served as superintendent of the 24-district County Office of Education for three terms, beginning in 2007. 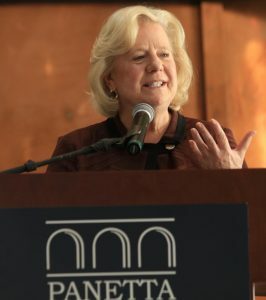 She helped establish a number of partnerships with other organizations throughout the county, including the Panetta Institute. Dr. Kotowski is succeeded by Dr. Deneen Guss, who served as deputy superintendent for five years, and was sworn in January 7. Secretary Panetta responded to recent criticism that elimination of official gender discrimination has not been successful. Secretary Panetta said that those arguments are as baseless as they were when he enacted the policy six years ago. 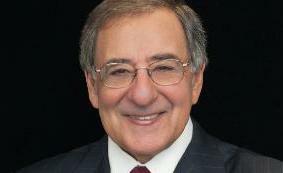 To read Secretary Panetta’s commentary, click here. “The president let the shutdown happen and has made clear that he will not agree to reopen government without Congress approving funds for his border wall,” Secretary Panetta wrote. Secretary Panetta concluded, “We elect our leaders to govern, not to tolerate chaos. Even in political gridlock, our forefathers provided a path to govern if there is a willingness to lead. The Congress should vote to open the government, even if it means overriding a presidential veto…. If those elected fail to lead, they can be thrown out of office. Welcome to democracy. The Panetta Institute honored two governors and a former chairman of the Joint Chiefs of Staff at the nineteenth annual Jefferson-Lincoln Awards: An Evening to Honor Lives of Public Service dinner and gala, at the beautiful Inn at Spanish Bay, Pebble Beach, on Saturday, November 10, 2018. 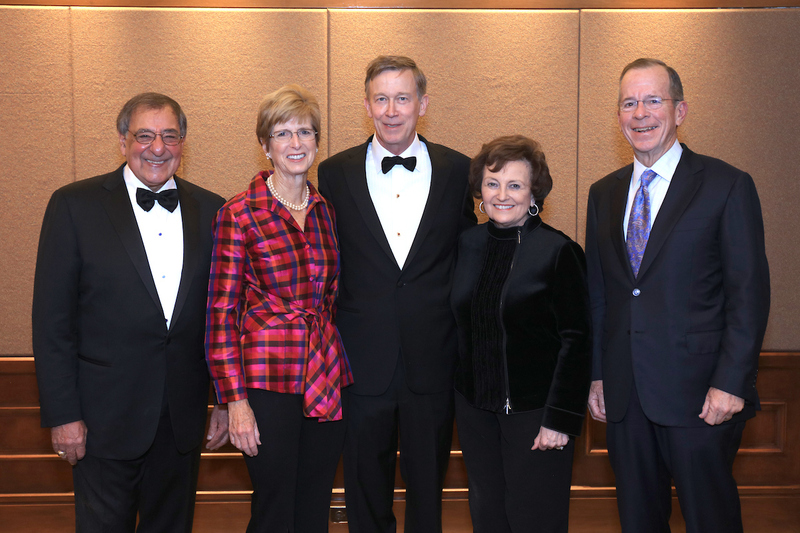 From left: Secretary Panetta, Christine Todd Whitman, John Hickenlooper, Sylvia Panetta and Mike Mullen. 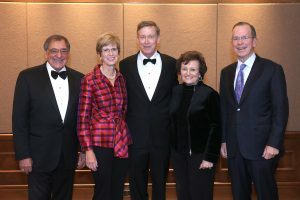 Colorado Governor John Hickenlooper (D), former New Jersey Governor Christine Todd Whitman (R) and Admiral Michael Mullen, USN, were the latest in a series of national figures who have been honored not only for their years of public service, and for their spirit of bipartisanship in representing the American people as well as their own constituents. More than fifty individuals have been recognized since the first program in 2000. 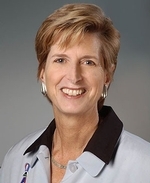 Honored individuals have included leaders in public service, the military and the media. Many of them have continued to serve our democracy with honor and a commitment to principle. Governor John Hickenlooper was inaugurated Governor of Colorado in 2011, having run on his history of collaboration with members of both parties. The first Denver mayor to be elected governor in 150 years, he was also the first geologist to become a governor in the history of the nation, and the first brewer since Sam Adams in 1792. Governor Hickenlooper is a champion of innovation, collaboration and efficiency. While in the Governor’s mansion he has recruited talent from all quarters, and is redefining the relationship between a state government and its business and civic communities. 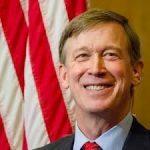 Since taking office, Governor Hickenlooper and his team have endeavored to make Colorado the most pro-business state, with the highest environmental and ethical standards. 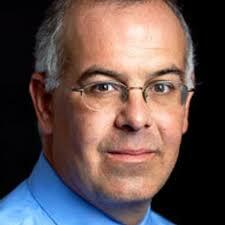 He is a great believer that governors, far more than Congress, can revive American democracy. Governor Hickenlooper writes about his experiences in politics, science and business in his recently published memoir entitled The Opposite of Woe: My Life in Beer and Politics. 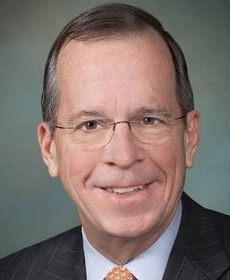 Admiral Michael Mullen is considered one of our nation’s most influential chairmen of the Joint Chiefs of Staff. He advised both Republican and Democratic administrations, leading the military during a critical period of transition. Admiral Mullen has commanded at every level in the Navy, culminating as chief of naval operations in his service. He served as the seventeenth chairman of the Joint Chiefs of Staff and was the principal military adviser to President George W. Bush and President Barack Obama as well as to the secretary of defense and the National Security Council. Serving from 2007 to 2011, Admiral Mullen oversaw the end of the combat mission in Iraq and the development of a new military strategy for Afghanistan. He is renowned for his role in dismantling “don’t ask, don’t tell” and allowing gay service members to serve openly. 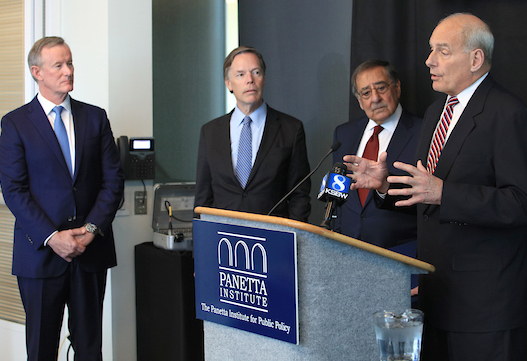 In presenting the Jefferson-Lincoln Awards the Panetta Institute recognizes individuals who have dedicated their careers to the most vital principles of our democracy. In highlighting the commitment and accomplishments of these men and women, the Institute promotes the example of principled public service to those currently in office, as well as to individuals who are considering serving in office and to the electorate itself. It is the hope of the Institute’s board of directors that bringing attention to the best of our democracy can counter the forces of dysfunction and division. 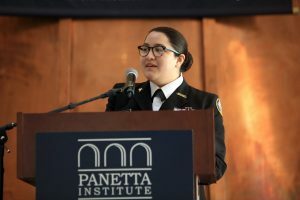 The Jefferson-Lincoln Awards dinner serves as the Panetta Institute’s major yearly fundraiser, benefitting Panetta Institute offerings, including Monterey County Reads, the Congressional Internship Program and the Student Leadership Program. 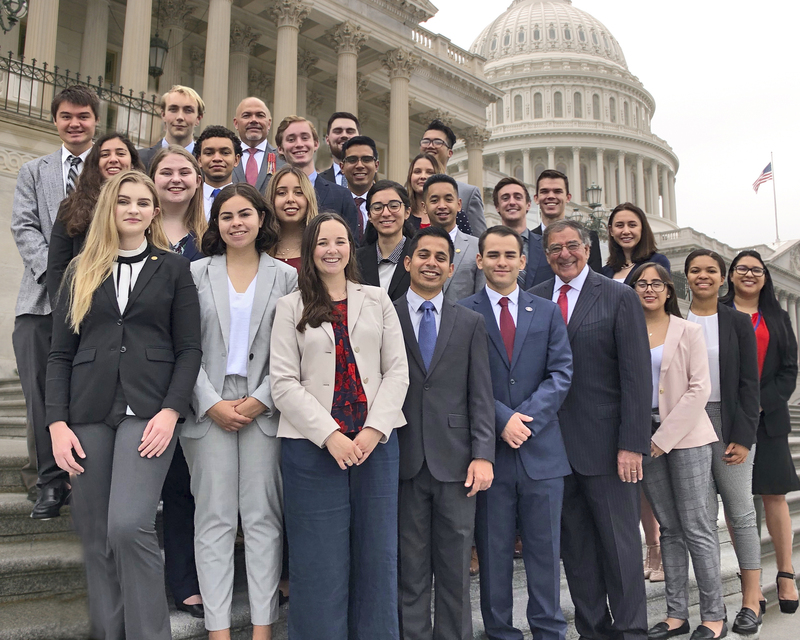 Participants in the twentieth annual Congressional Internship Program are back in California after serving for eleven weeks in Congressional offices in Washington, D.C. Interns worked full-time for eleven weeks in the Democratic and Republican offices of the California congressional delegation. Their daily tasks ranged from speaking with constituents and opening mail to conducting tours of the Capitol and attending hearings. The Congressional Internship Program class of 2018. Participants also attended weekly seminars in Washington held exclusively for them by the Institute. These seminars were led by Republican and Democratic members of Congress, top government officials and experts in a variety of fields, including the federal budget, healthcare, immigration, foreign policy and more. Among the experts presenting to interns in Washington, D.C. were Dr. Pat Griffin, former assistant to the president for legislative affairs and partner, GriffinWilliams, LLC; Secretary Panetta; Dr. Alice Rivlin, former director, U.S. Office of Management and Budget and senior fellow at the Brookings Institution; Michèle Flournoy, former undersecretary of defense for policy and co-founder and chief executive officer of the Center for a New American Security; Jimmy Panetta, United States Representative (D), California; Doris Meissner, former commissioner of the U.S. Immigration and Naturalization Service and a senior fellow at the Migration Policy Institute; Tom Daschle, former United States Senate Majority Leader (D), South Dakota; Thomas Wickham, J.D., parliamentarian, United States House of Representatives; Alan Blinder, Gordon S. Rentschler Memorial Professor of Economics and Public Affairs at Princeton University; and Jeff Denham, United States Representative (R), California. Interns came from twenty three CSU campuses, as well as Dominican University of California, Saint Mary’s College of California and Santa Clara University. The program got underway in August at the Institute. 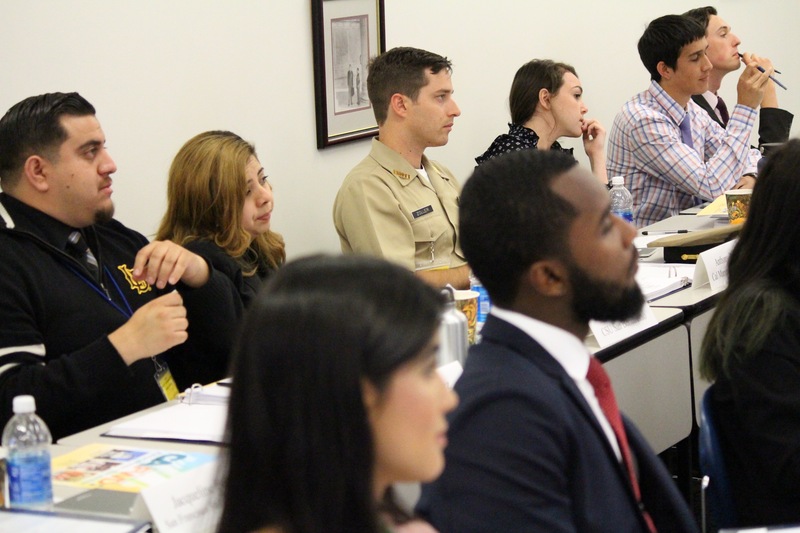 A variety of nationally known speakers joined Secretary Panetta in meeting with and speaking to the class of 2018 interns during the two-week training program. Among the speakers addressing students during the training program at the Institute in addition to Secretary Panetta were: Dan Balz, best-selling author and reporter for The Washington Post; Carla Marinucci, California Playbook senior writer for Politico Magazine; Thomas Wickham, parliamentarian, United States House of Representatives; William Lowery, United States Representative (R), 41st District, California (1981-1993); and Marty Russo, United States Representative (D), 3rd District, Illinois (1975-1993); Joe Gunter, mayor, City of Salinas; as well as Institute Chairman Secretary Leon E. Panetta. For a complete list of speakers, as well as the roster of 2018 Congressional interns, click here. 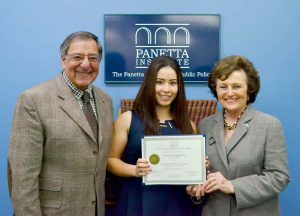 The semester-long public service experience was created by Secretary and Mrs. Panetta and is sponsored by the Panetta Institute. It is considered one of the finest congressional intern programs in the nation. Click here for more information about the Congressional Internship Program. 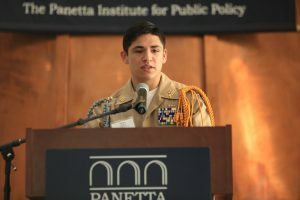 Two participants in the 2018 class of the Panetta Institute’s Congressional Internship Program have shared their stories about what it’s like to be part of the celebrated program by telling news outlets of their experience. Tyler Burch, a student from California State University at San Marcos, told the Escondido Grapevine about his firsthand experience of working in a Congressional office. “I don’t think people who don’t work directly with government have an understanding of how much they do,” Mr. Burch said in the February 1 edition of the Grapevine. Another intern, Tori Hust of CSU Fullerton, told the Orange County Register in its February 6 edition how as an intern to then-House Minority Leader Nancy Pelosi, (D) San Francisco, she stood among the protesters during the Brett Kavanaugh Supreme Court hearings and with the thousands of people lined up waiting to pay their final respects to the late Sen. John McCain. “There was never a slow day in that office,” said Ms. Hust, who was in the nation’s capital from August 18 to November 3. She told the Register that she worked with senior advisers on health care and the budget and sat in on two “kitchen cabinet” meetings, a rarity for interns. “For me, it was really interesting to see firsthand some of the biggest issues Congress is facing,” Ms. Hust, a third-year student with a major in political science a minor in public policy. Mr. Burch also reported that the internship gave him the opportunity to contribute meaningfully to the his office. His first duties were providing tours to visiting constituents, reported the Grapevine. But it wasn’t long before his responsibilities expanded. Both Ms. Hust and Mr. Burch praised the program for its emphasis on non-partisanship. 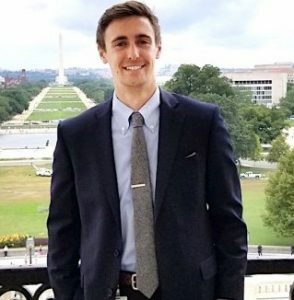 Tyler Burch in Washington, D.C.
Mr. Burch, who worked in the office of Congressman Alan Lowenthal, (D) Long Beach, said he was comfortable working with either party. His interest in environmental policy as it pertains to economics led to his placement in the office of Lowenthal, who is on multiple environmental committees. Mr. Burch said he is considering working in a political office for a year after graduating and eventually applying to law school. Ms. Hust said she plans to apply to universities where she can go to law school and get a master’s degree in public policy. She has an interest in election law and transparency. 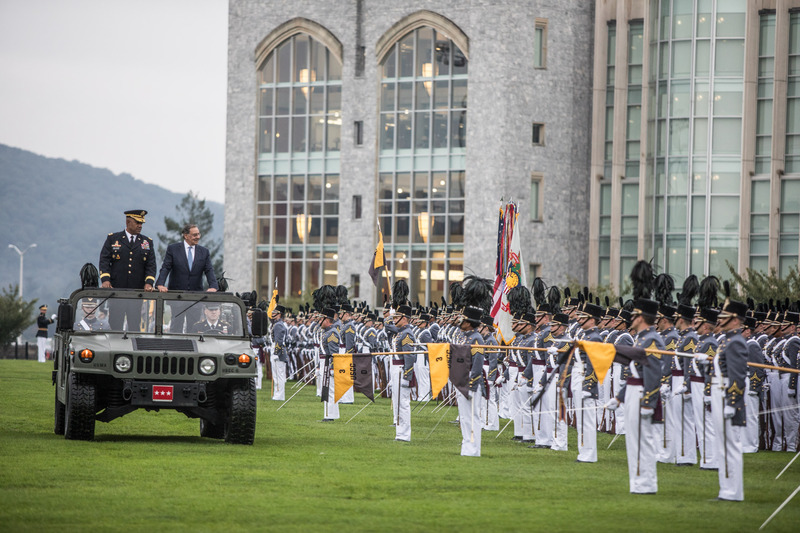 Secretary Panetta received the 2018 Sylvanus Thayer Award on October 4, 2018 from the West Point Association of Graduates — the group’s top award for a United States citizen other than a West Point graduate. 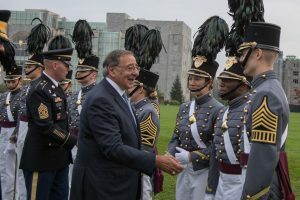 Secretary Panetta, in his acceptance speech at West Point, said he accepted it not for himself but “on behalf of the winner of the award sixteen years ago.” In 2002, the award was presented not to an individual but to the American Soldier at large. Lt. Gen. DeFrancisco added: “The West Point Association of Graduates is honored to present the Thayer Award to Secretary Panetta. His distinguished public service career has spanned five decades, starting in 1964 as a U.S. Army intelligence officer, to time as a Congressman, to leading several national agencies and serving in high-ranking positions for two U.S. Presidents, through today as Chairman of an institute devoted to attracting men and women to lives of public service. “Thank you for your example of being a leader of character,” Lt. Gen. Williams said. 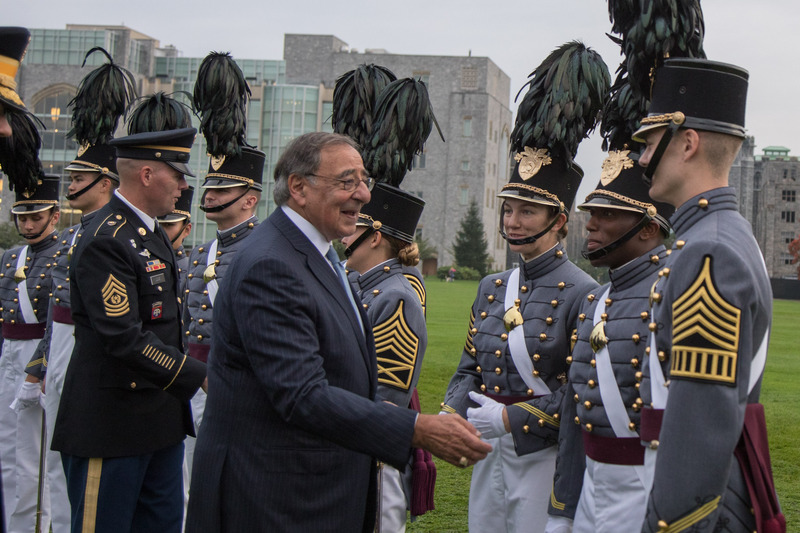 Secretary Panetta told the cadets they are becoming leaders at an especially dangerous time in the world, and mentioned terrorism, a new chapter in the Cold War with Russia, increased tensions with China and cyber attacks. 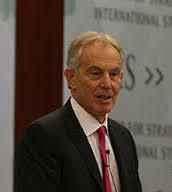 “If the United States fails to provide leadership in a troubled world, no one else will,” he said. Secretary Leon E. Panetta wrote in a Washington Post commentary on December 28 that government shutdowns are “a bad way to do the country’s business” and will have political ramifications as well. The more you blame others, the more the public blames you. Negotiations are impossible without trust. If the president fails, Congress must lead. The televised argument between President Trump and Democratic leaders Nancy Pelosi and Chuck Schumer at the White House December 11 was “a perfect example of how not to run a country, ” Secretary Panetta said on a televised interview on MSNBC. Shortly after the debate was filmed by television cameras, Secretary Panetta appeared on MSNBC, where host Andrea Mitchell asked him whether he had ever witnessed such a scene. 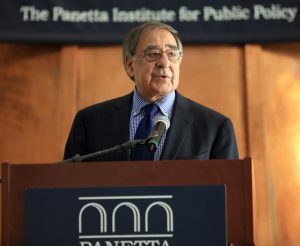 “To confront each other that way and to have everybody yell at one another that way is to send a terrible message to the American people about how our democracy functions in Washington,” Secretary Panetta said. As the award-winning Monterey County Reads program entered its twenty-second year, the Panetta Institute hosted its annual Volunteer and School Recognition Ceremony on Friday, September 14, 2018 to honor the reading volunteers and elementary schools that participated in the Institute’s landmark literacy initiative during the 2017-18 school year. Simón Salinas, Monterey County Supervisor – District 3, served as master of ceremonies, and Secretary Leon E. Panetta gave the keynote address. The celebration was held at the CSUMB University Center Ballroom. The event was in recognition of 169 Monterey County Reads volunteers for their dedication to helping children achieve grade level literacy skills. These volunteers were honored along with thirty-four elementary schools who welcomed the volunteers into their classrooms and whose teachers and administrators help make the program possible. The ceremony featured the presentation of a special Golden Threads longevity award to nine volunteers who have participated in the program for five and ten years. Ten-year recipients were Margie Martin, Bonnie Whisler and Bobbie Wright; five-year honors were given to Howard Barnett, Joseph Casey, Peggy Casey, Ruth Rachel, Karen Sonnergren and Brenda Webster. Five high schools that have cohorts of students serving as Monterey County Reads volunteers also were recognized. In honor of their service and outstanding work in helping local elementary school children improve their reading skills, volunteers received certificates of recognition along with special pins. Participating schools also were rewarded a certificate honoring their important involvement and support. 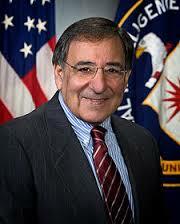 Providing the keynote address was Secretary Panetta, Chairman of The Panetta Institute for Public Policy. Additional speakers were Sylvia M. Panetta, Co-Chair and CEO of the Panetta Institute; Nancy Kotowski, Monterey County Superintendent of Schools; Martha Martinez, Salinas City Elementary School District; Joe Sampson, Principal of Ord Terrace Elementary School in Seaside; Corina Camino, Teacher at Oak Avenue Elementary in Greenfield, and two NJROTC cadet volunteers, Angelica Cornejo from Monterey High School and Brian Sanchez from Soledad High School, who spoke about their experiences working with the literacy initiative. Now in its twenty-second year, Monterey County Reads volunteers continue to work with children throughout Monterey County. These volunteers include parents, business owners, members of religious and service organizations as well as high school, college, university and military students, to name some. Volunteers receive training from literacy specialists, followed by on-site orientations before beginning regular one-to-one reading sessions with specially selected children in the early elementary grades. Since the program’s inception, more than 3,500 volunteers have read with approximately 18,600 children for nearly 129,000 hours. For more information about volunteering with Monterey County Reads, please call The Panetta Institute for Public Policy at 831-582-4200. 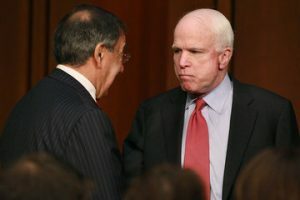 The relationship between the two goes back to 1982, when then-Congressman McCain joined Secretary Panetta in the House of Representatives. 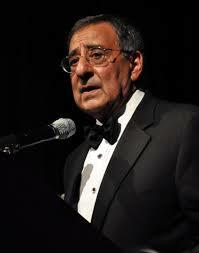 Secretary Panetta concluded: “I last saw John in Washington when he was in a wheelchair. We met in the Capitol to discuss our mutual concerns about North Korea. He still had that sparkle in his eye that made clear he had not lost his will to fight to the end. John was never the easiest person to get along with but then again, no patriot is. Their first concern is not whether they are loved, but whether our country is loved. Because of his devotion to the nation, he is, and always will be, an American patriot. A celebrated program for student body presidents and other elected student body officers from the California State University system and three private universities completed its nineteenth annual session at the Panetta Institute, running from June 10 to June 17, 2018. The group of student leaders spent eight days at the Institute during this comprehensive program learning from experts in a variety of fields. Leaders in government, the private sector, and the military shared their experiences and their strategies for success. Entitled Education for Leadership in Public Service, the program features workshops on ethical compromise, putting leadership theory into practice, insiders’ tips on successful management along with achieving goals, understanding modern media, and tips on policy-making. While each arena of leadership varies in focus, the students learn overarching lessons applicable to all types of leadership and gain an understanding of the commonalities involved in the various fields of leadership. Secretary Panetta was among the speakers and discussion leaders at the Leadership Seminar. Other featured presenters included government and business leaders, as well as legal, military, education and grass-roots organization experts. This special course was developed in 1999 by a blue-ribbon panel of public officials and academic leaders in response to the findings of the Institute’s national survey of college students, which showed alarmingly low levels of student interest in government and public service. The Leadership Seminar has grown in popularity since its inception, thanks to its focus on practical steps that student leaders can take both in their leadership positions on campus and in their future endeavors in public service. Some campuses have found such value of the program that they send multiple students who are in leadership positions. A survey of United States college students conducted for The Panetta Institute for Public Policy last spring found interest in the mid-term elections running unusually high on campus, as students expressed record levels of dismay about the direction of the country and anxiety about their personal finances. Students were nearly twice as likely to be following the mid-term elections “closely” as they were at the same time in 2014 – 48 percent versus 25 percent four years earlier – and 61 percent said they were paying at least some attention, compared to 38 percent last time. The proportion of students who say the country is “off on the wrong track” stood at 61 percent in this study, the same as in April of the previous year when the figure hit its highest level in the survey’s 20-year history, while the percentage who worry about having too much student loan debt also reached a record level – 65 percent. “These numbers are dramatic evidence of how college costs have been ratcheting up in recent years and pricing many young people out of the market,” says Institute Co-Chair and CEO Sylvia Panetta. 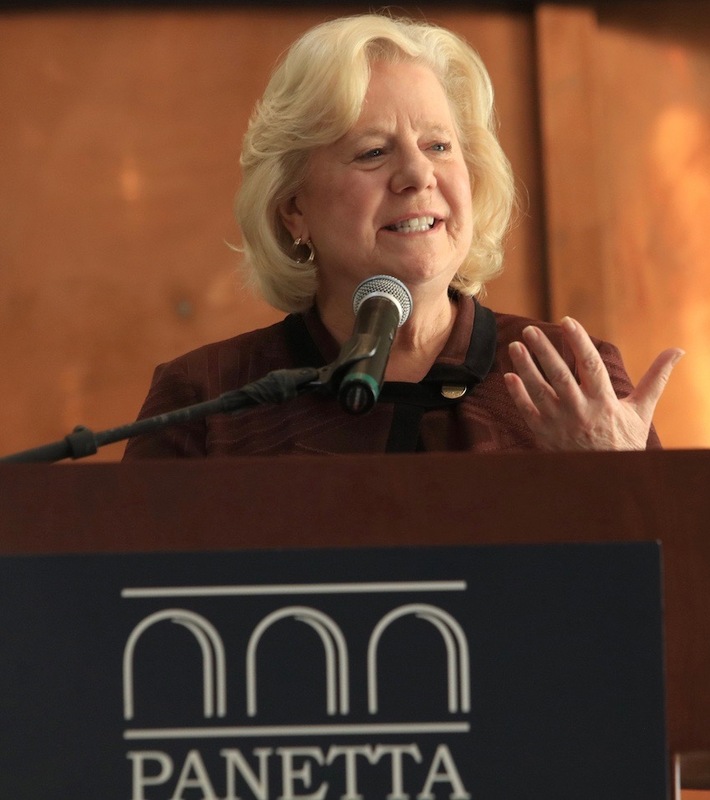 She notes that students’ record level of worry about their indebtedness is up nine percentage points since the previous year’s survey and 72 percent of students say they worry often about finding a good-paying, quality job upon graduation – another record high. In addition, students expressed concern for their physical safety, with gun violence ranking highest among their issue concerns and with 43 percent worrying “a great deal” or “quite a bit” about the possibility of a mass shooting occurring on their campus. The nationwide poll of students enrolled at four-year colleges and universities was conducted from April 12 to 19, 2018, about two months after the mass shooting at a Parkland, Florida high school that led to demonstrations across the country in support of stronger gun regulation. 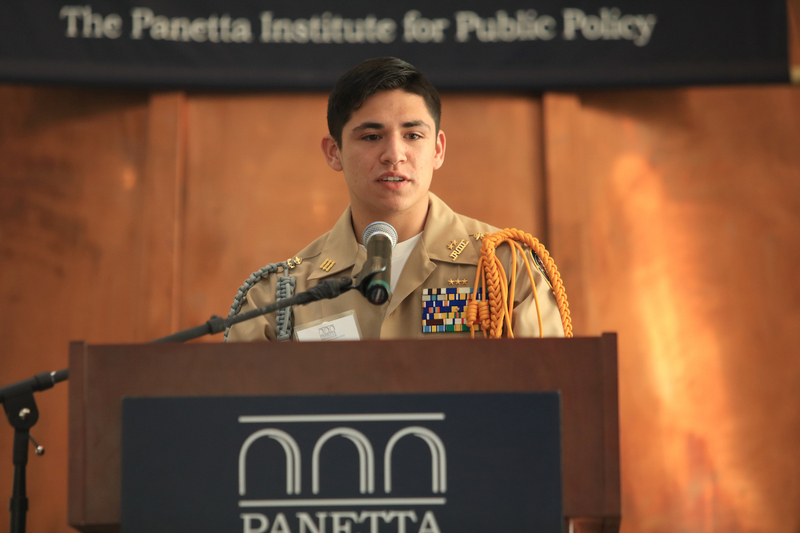 The Panetta Institute commissions the survey in the spring of each year to guide its curriculum and advance its mission of encouraging young people to consider careers in public service and help prepare them for the challenges they’ll face as future leaders. 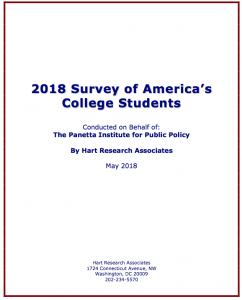 Conducted by Hart Research Associates, the study explores student attitudes and opinions on many topics, including social trends, preferred news sources, level of civic engagement, personal career expectations and a variety of national and international issues. 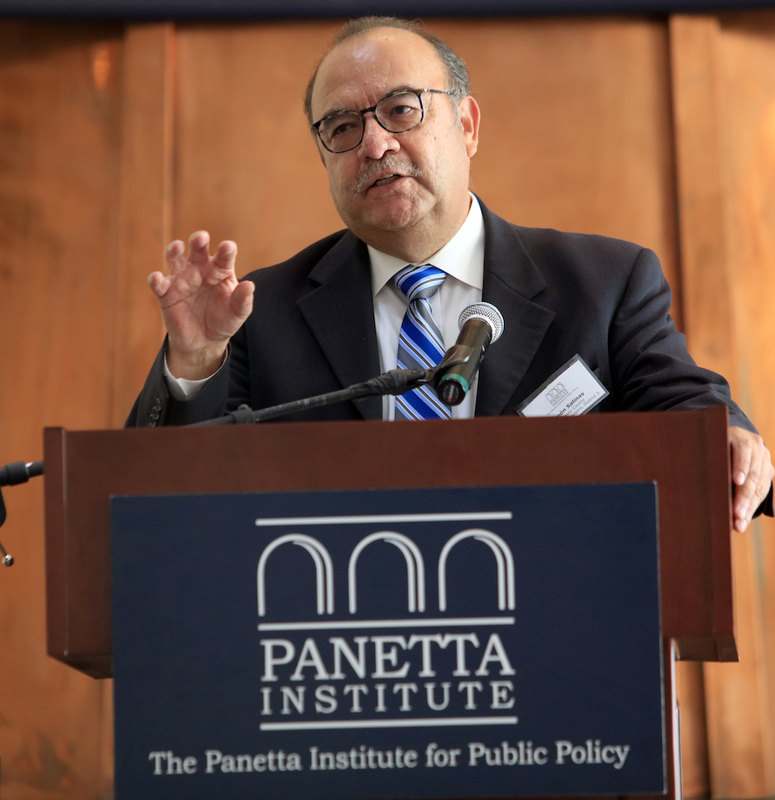 With two decades of collected data, the Panetta survey has become a valued source of information for scholars and journalists interested in tracking the views of the country’s next generation of voters and decision makers. A more extensive summary of the study’s findings is linked here. Storybooks are prepared for distribution by the Panetta Institute’s Geana Ruiz and Tyler Crocker. Nearly eight hundred books were distributed again last year to children participating in the twenty-first year of the Monterey County Reads, the Panetta Institute’s award-winning program that includes thousands of volunteers committed to fighting illiteracy in Monterey County. As the school year came to an end, the storybooks were distributed in recognition of students’ efforts in reading improvement. Monterey County Reads serves ten school districts throughout Monterey County. The cumulative numbers of storybooks distributed in Monterey County Reads‘ twenty-one year history demonstrates the breadth of this program. In that time, nearly 18,000 books have been distributed to the children participating in the program. This program specifically addresses the needs of the lower socio-economic level of Monterey County’s population with a focus on Spanish-speaking and other ethnic minorities. The Institute has continued to broaden its focus on community volunteers; for the 2017-18 school year, 169 volunteers participated. Reaching out to more community organizations has had a positive ripple effect. 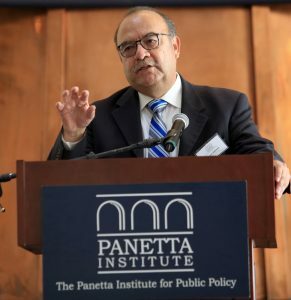 Community members typically belong to more than one organization, and when Panetta Institute staff recruits from one group, interested members often spread the word to other organizations. The Panetta Institute has also extended its reach in the Salinas area of Monterey County where there is a great literacy need. Outraged by President Donald Trump’s “vulgar and disparaging remark about immigrants to our country from poor and impoverished areas of the world,” Secretary Panetta declared “This is not who we are,” in a commentary published January 17, 2018 on the CNN Opinion website. Secretary Panetta cited President Trump’s various proposals, including travel bans on visitors from some Muslim-majority nations, building harmful walls, deporting thousands of immigrants and even ending protections for hundreds of thousands of law-abiding recipients of the Deferred Action for Childhood Arrivals programs (DACA). 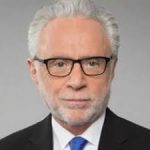 “It is important that the world knows that, although he may be president, Donald Trump does not speak for the overwhelming majority of Americans. This is not who we are,” wrote Secretary Panetta. Secretary Panetta referred to words on the the Statue of Liberty: “Give me your tired, your poor, your huddled masses yearning to breathe free.” He cited immigrants who have served honorably in the military. He also pointed out that President Trump is the grandson of immigrants and is married to an immigrant. “We are a land of immigrants,” Secretary Panetta wrote. “The diversity this confers on America is our strength because immigrants live the American Dream. They and their families are part of our communities, our schools, our businesses, our workforce. We all pledge allegiance to the same flag — to ‘one nation, under God, indivisible, with liberty and justice for all.’ That is who we are. 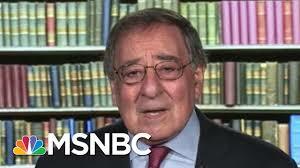 Here is a link to Secretary Panetta’s commentary. Secretary Panetta has warned in a commentary published in The Los Angeles Times that the federal government is again threatening to open up California’s waters to oil drilling. “A long-standing moratorium on offshore oil drilling off the California coast is now at risk,” Secretary Panetta warned in a commentary published in the February 8, 2018 edition. Last year, Interior Secretary Ryan Zinke proposed opening up nearly the entire outer continental shelf of the United States for oil and gas exploration, including six of them off California’s coast. “He had the temerity to suggest that the leases would provide billions of dollars ‘to fund the conservation of our coastlines, public lands and parks,’ ” Secretary Panetta wrote. Secretary Panetta added that the impact of drilling extends beyond environmental damage. “Opposition to drilling is as much about the economy as it is about the environment: Tourism, fishing and ocean recreation sustain tens of billions of dollars of economic activity and hundreds of thousands of jobs in our state annually. It makes no sense to risk damaging that economic vitality with catastrophic oil spills and pollution, especially with the rise in renewable energy sources. The United States has clean, renewable energy alternatives; there is simply no need for new oil drilling now. 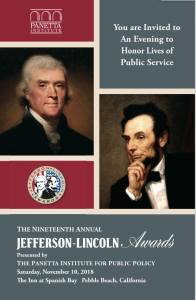 In awarding its Jefferson-Lincoln Awards each year, the Panetta Institute continues a tradition of honoring public officials and dedicated journalists who continue to fight for the most important tenets of American democracy, standing up for compromise, principled leadership and transparency in governing. More than fifty individuals have been recognized since the first program in 2000. Many of them have continued to serve our democracy with honor and a commitment to principle. One of the Institute’s earliest honorees was the late John McCain, United States Senator (R), Arizona. A 2002 recipient, Senator McCain was recognized alongside United State Senator Russell Feingold (D), Wisconsin for their landmark bipartisan campaign finance legislation. Senator McCain had spoken out about the need for healthcare reform to be a bipartisan process. Together with 2005 Jefferson-Lincoln Award winner Senator Susan Collins (R), Maine and 2016 recipient Senator Lisa Murkowski (R), Alaska, the three legislators were the only Republican votes against the Graham-Cassidy Bill which would have repealed the Affordable Care Act. 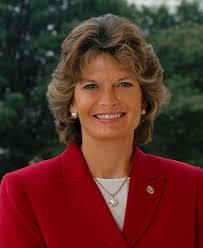 Senators Collins and Murkowski were equally passionate about the need to vote on principle rather than party loyalty. 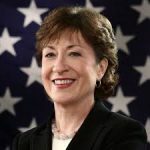 Reflecting on the historic vote, Senator Collins commented, “We must work together across party lines to develop healthcare reform and we must stop allowing partisanship to be a preexisting condition that prevents meaningful health reform.” Senator Murkowski withstood aggressive persuasion from the Trump administration and the president himself regarding her vote on the legislation, before eventually voting against the bill. Most recently, she led a bipartisan coalition in a visit to Puerto Rico and the United States Virgin Islands to assess recovery from extreme hurricane damage. 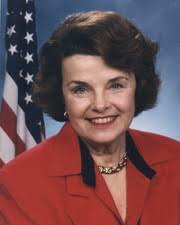 Another 2005 Jefferson-Lincoln Award winner, Senator Dianne Feinstein, has resisted pressure from the more extreme factions of her party in refusing to back the impeachment of President Trump. She instead called for “patience” over his presidency and has worked to take a measured and serious approach to her work on the Senate Committee on the Judiciary and the Select Committee on Intelligence. Mrs. Panetta also paid tribute to past journalism honorees like David Brooks, Judy Woodruff, Wolf Blitzer and others who continue to inform the public and set the examples of the importance of a free press. 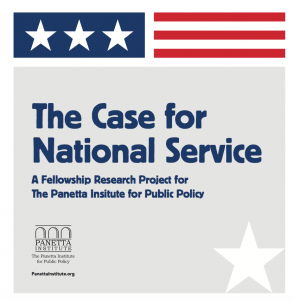 The Panetta Institute for Public Policy has released a study of national service programs, citing their extensive benefits to the country and urging expansion of service opportunities to all Americans. The study examines a wide range of national service programs such as AmeriCorps, VISTA, the Peace Corps, Job Corps and City Year, calling them highly cost-effective in providing needed services while giving participants a work experience that can benefit them for the rest of their lives. The study was conducted by the Institute’s Research Fellows – upper-level students from the University of Santa Clara School of Law. They looked at the history of military and non-military service in the United States and abroad and at efforts to promote a service ethic. building leadership abilities and a sense of shared citizenship by bringing people of different backgrounds together in support of an important goal. The report points out that nearly three thousand bipartisan mayors and county leaders across the country are on record in support of national service and its positive impact in their communities. The idea historically has enjoyed broad bipartisan support in Congress and the White House. Each of our last four presidents – two Republicans and two Democrats – called for an expansion of opportunities to serve. And yet, the study notes, America’s national service programs are chronically under-funded, with the great majority of qualified applicants being denied the opportunity to serve. In its recommendations, the report stresses the role of the private sector in helping to fund national service programs at the community level. It urges significant efforts to mobilize further financial support and highlights the benefits of national service initiatives. California State University, Channel Islands student Jenna Kushigemachi describes her experience in the 2016 Panetta Institute Congressional Internship Program and states that it “changed me as a citizen” after spending eleven weeks on Capitol Hill. 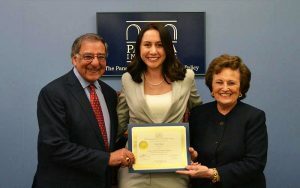 CSUCI student Jenna Kushigemachi with Secretary Leon Panetta and Sylvia Panetta. Here is a link to the Channel Magazine article. 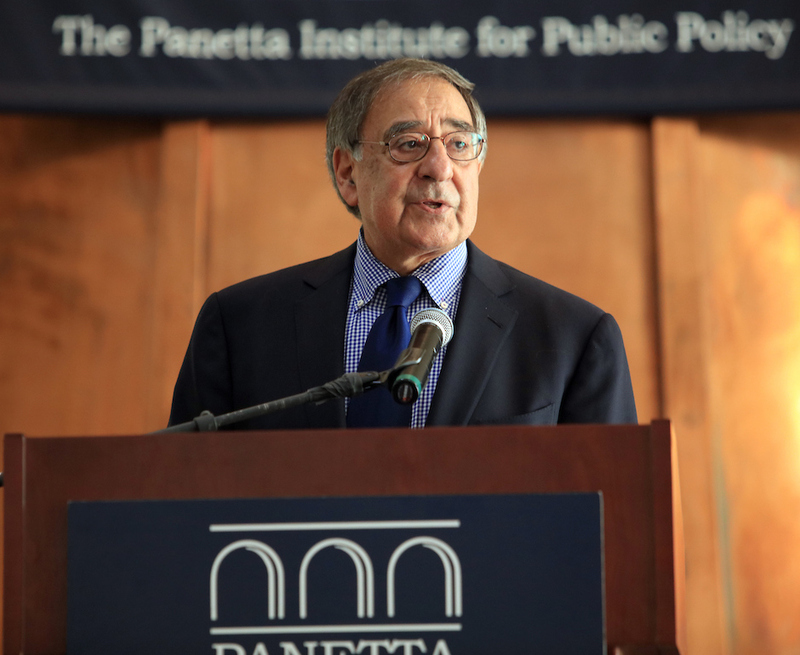 In an interview with the Yale political magazine Politic, Secretary Panetta issued a call for young people to get involved in the world of public service, saying that the health of the nation’s democracy depends on it. Ms. Strober also asked Secretary Panetta about his most difficult day on the job, to which he recalled the memorable day of his role as CIA director during the capture of Osama bin Laden. That the “battlefield of the future” will be cyber attacks. Here is a link to the entire interview. Secretary Leon E. Panetta has joined with former British Prime Minister Tony Blair as co-chairs of a commission begun in 2016 on violent extremism that aims to help the United States presidential administration develop a comprehensive strategy to confront this threat to national security. The group is being sponsored by The Center for Strategic and International Studies (CSIS) Commission on Countering Violent Extremism. The new commission also hopes to guide European leaders. It will unite experts to study extremist groups like the Islamic State and recommend ways to both defeat them and to curb their appeal among disaffected youth. The commission will also address the trend of successful recruitment of young people by extremist groups. “The problem of competing for the hearts and minds of Muslim youth has challenged experts for years. However, the recent attacks in Paris and San Bernardino have forced an immediate response to the security threat by world leaders. We have to develop an effective strategy to protect our people and reduce the allure of extreme ideologies both at home and abroad, to understand what we can do to undermine this narrative that attracts so many recruits to violence,” Secretary Panetta said. During the coming months, the Commission will study new and innovative ideas for undercutting extremists’ radicalization and recruitment efforts and prepare a comprehensive strategy that marshals all elements of national and international power including the military, law enforcement and the intelligence community. In addition, it will study and provide recommendations for mobilizing communities to speak out and take action against the ideology and atrocities committed by violent extremists. For more information on the commission, visit csis.org. Panetta Institute Co-Chair and CEO Sylvia Panetta formally commissioned the USS Milwaukee into service for the United States Navy at a special ceremony at Milwaukee’s Veterans Park on Saturday, November 21, 2015. Mrs. Panetta serves as ship sponsor for the USS Milwaukee, the Navy’s latest littoral combat ship. Littoral combat ships, designed for versatility and speed, are a relatively new addition to the U.S. Navy. They are built to operate close to shore and to quickly switch from one combat mode to another by swapping out different equipment such as anti-mine or anti-submarine gear. Unlike older Navy ships, littoral combat ships operate with much smaller crews. A crew of fifty-four operates the USS Milwaukee, though it will carry around 100 when sailors tied to the helicopter aviation unit are on board. This ship is considered an important addition to the U.S. military’s transition from warfare that saw navies fighting against one another toward the current military effort to combat terrorist groups like the Islamic State and al-Qaeda. A large crowd attended the commissioning ceremony. Nearly 19,000 tickets were distributed for the day’s events, which featured speeches, patriotic music and Wisconsin-made beer and bratwurst. After Mrs. Panetta formally commissioned the ship with the words “Man your ship and bring it to life,” the crew ran from the shore onto the USS Milwaukee, started its engines, engaged its radar and other operations and sounded a long whistle blast. Activities also included a reunion for members of the last USS Milwaukee, an oiler that earned a campaign star during the Vietnam War and, before it was decommissioned in 1994, helped transport the King Tutankhamen exhibition to America in 1976. Mrs. Panetta christened the ship in December 2013 in Marinette, Wisconsin with the traditional breaking of a bottle of champagne over the vessel’s hull. In her role as sponsor, Mrs. Panetta has visited with the ship’s crew several times over the past two years. Further, officers from the ship have participated in programs at The Panetta Institute for Public Policy, speaking with young leaders about leadership in the military and touching on the themes of character, team building and sacrifice. The USS Milwaukee is the third Freedom-class littoral combat ship built in Marinette, Wisconsin. The USS Milwaukee will now travel through the St. Lawrence Seaway to the East Coast, then south to the Panama Canal to its home port of San Diego for patrols in Asia. When using e-mail or fax, please be sure to provide your name, USPS mailing address, and your day and evening telephone number.